The final step of this job is re-installing the instrument cluster and dash facia. This is pretty straightforward and is a reverse of the removal process. If you can fully test the instrument cluster prior to tightening it into place, that is a good idea. Re-install the instrument cluster and reattach wiring harnesses and the speedometer cable. Before you re-install the dash facia, you may want to take the time to perform the following fix. 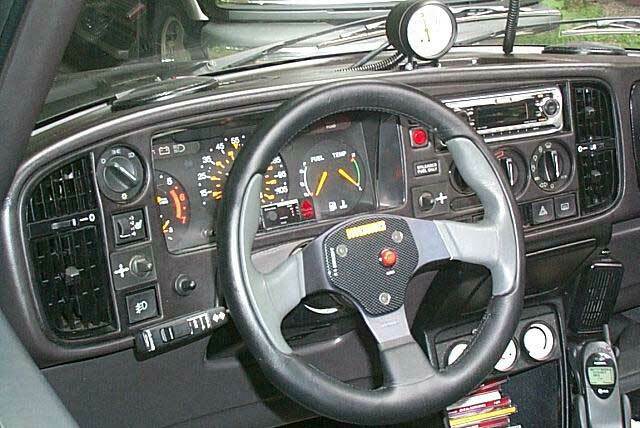 The dimmer pot for the dash lights is located on the facia to the left of the steering wheel. Over time, this pot can break loose of the facia and spin in place. It is very difficult to remove this pot from the facia, but having it loose makes it nearly useless. I came up with a simple fix to prevent the entire knob from spinning in the facia. All you need are two short, thin, zip ties. Connect the two ties to one another, and then loop them through the corner of the dimmer pot. 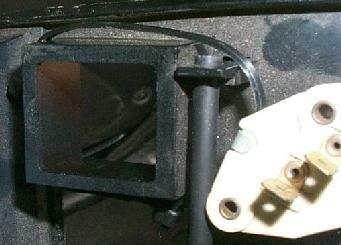 Then wrap them around the square button socket where the fog light switch is usually located. Use needle nosed pliers to tighten the zip ties so that they don't slide off the socket, and also prevent the pot from spinning. Done! If you are installing a different facia than the one you removed, make sure that all of the components are in place and that nothing is broken from the heat and air controls. Re-connect all of the heater controls and hose harness before sliding the facia completely into place. Then re-install the facia carefully. Take your time and don't force it. Slowly feed all of the wiring harnesses into place and make sure all the dash bulbs are in their sockets. Install the facia screws and tighten the facia down. 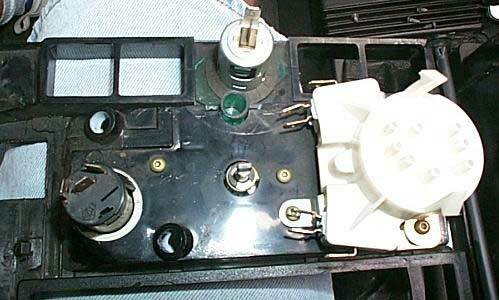 Then feed all your button harnesses into place, re-install the buttons and knobs. Re-install the heater core valve rod, then install your stereo.